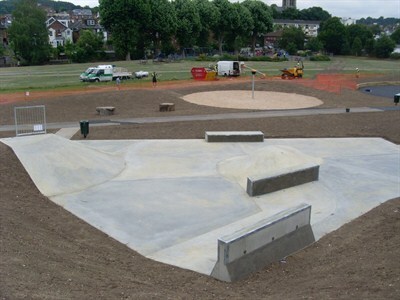 Dorking skatepark was designed and built by Freestyle, opening in 2007. 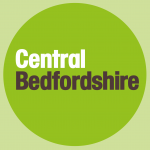 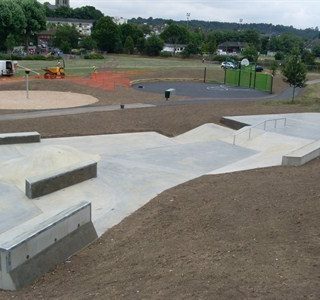 It is an all concrete, multi level plaza style skatepark that is primarily street focused and can be found in Meadowbank recreation ground. 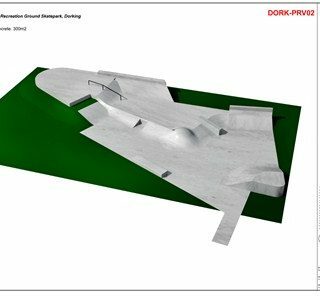 The skatepark starts in one corner with a hipped bank that opens onto a flat area. 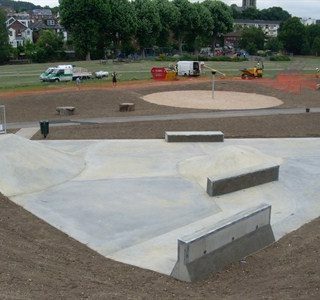 Following on from this is a raised level with a flat bank surrounding it and a pump bump on the corner with a euro gap inset and a hubba as well. 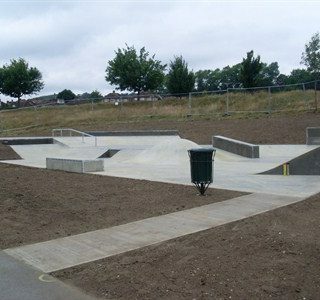 Leading up the next level after this is another flat bank with a rail and this leads upto the final level. 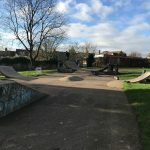 Dorking skatepark is a nice local spot with a decent selcetion of obstacles that are arranged in a creative layout to make good use of the available space. 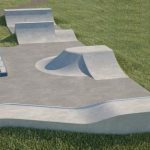 The surfaces are smooth and fast, making this a great place for beginners to practise the basics or more experienced skaters to master the lines. 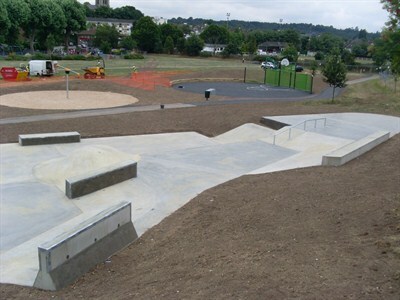 Dorking train station: Exit Dorking station onto London Road and follow it north until Ashcombe Road is on your left. 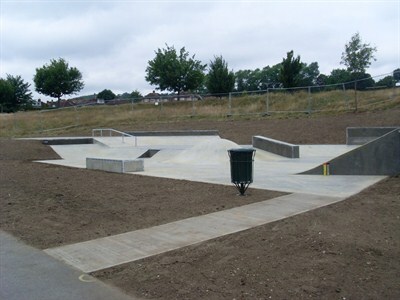 Take this road and follow it along until Meadowbank recreational ground is on your left. 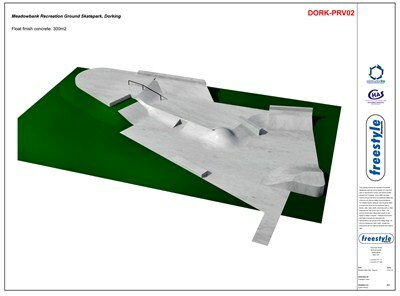 Here is where Dorking skatepark can be found. 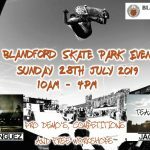 Ashcombe Road bus stop: Exit the bus into Meadowbank recreational ground and the skatepark will be here.